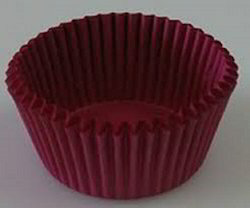 Wholesale Trader of a wide range of products which include silicone flower shape muffin cups and cup cake liner. Specification:Heart Shape Cake Mould . temperature +230 degree c & -40 degree c . use in microwave oven , pressure cooker etc. Cupcake liners of different size available. Taking ongoing market into consideration, we are presenting a large collection of Cup cake liner their effective usage and reliability. Looking for Heart Shape Cake Mould ?